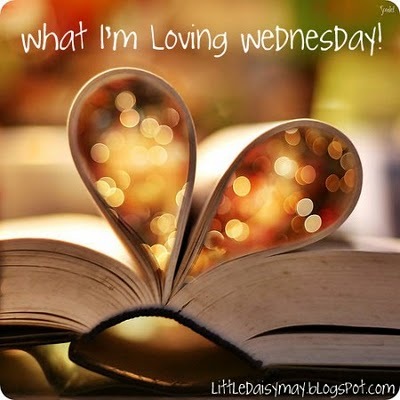 I don't get to join in on the blog hops anymore, because by the time I read everyone's posts, it's the next day, and I feel funny doing a Thankful Thursday on Friday or a Blessing Box on Wednesday. Putting my neuroticism behind, I finally have a chance to join in! 1} I've been under the weather this week (I think it's just being overstretched and pregnancy fatigue,) and I finally had the courage to say "enough!" I missed school yesterday to rest and recuperate, something that this "Rule Follower," doesn't do often enough. I laid on our new couch and napped and did school work whenever I woke up. It was wonderful. 2} I found Instant Oatmeal at a grocery store today! I love me some Maple Brown Sugar or Apples and Cinnamon, but had accepted the fact that the Middle East isn't a place where oatmeal is well liked. Imagine my surprise when I found a plethora of flavors on the cereal aisle of a local "gift market!" 3} My husband is amazing. Though this is probably true every Wednesday, it is especially true today. I was still feeling under the weather and wasn't going to take our big exam today, so, since we aren't really told ahead of time when it was, Ian drove up to the school early, asked around, found out it wasn't today, and came back and got me for a (non test day) of school! SO sweet of him. He knows how anxious I have been about this test for a couple of days and, since tests are optional here (yeah, I don't get it either,) I had decided to take the plunge and not take it. I'm quite the rebel this week. Ian also bought me a teeny tiny thing of pralines and cream ice cream and ran out and picked up take out for dinner since I was completely passed out. To top it all off, he read his Expectant Father's chapter yesterday and recapped to me all that he had learned. He is going to be the best Dad! 4.} I've had time to read at home this week, as I've been home more and as plans have fallen through that would have had me out and about more. That being said, I read two new Karen Kingsbury books and am starting on The Hound of the Baskervilles. Thinking about finally adding some reviews to Bound to Books....not sure if I have the energy to keep up two blogs again, but we'll see! 5.} Tomorrow afternoon begins our Eid break! One week of no school and no tutoring! We'll still work on school things at home and we have a seminary paper due on Monday, but at least it will be a break from our normal routine. And Eid, as I asked my little pupil all about it, is apparently only about receiving money from grown ups and eating lots of food. Ha! That's probably how alot of secular America sees Christmas, huh? Sad. This holiday is a great chance to talk with our new friends and neighbors about faith, great faith even, that is needed for a great sacrifice. Great stuff! Oh how interesting that they think it's a different brother. you can always schedule your posts ahead of time! Or I will leave the blessing box link up longer if you want to do it on wednesdays...just let me know-i don't mind at all : ) I hope you get to feeling better soon! I hope you start feeling better too! 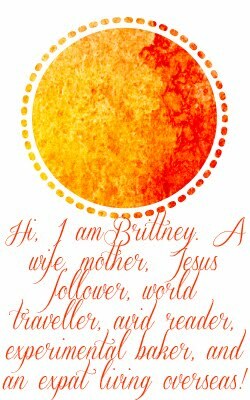 I just love your blog and can not wait to read more about your adventure overseas! my husband has the same book and loves telling me about all that he has learned. Honestly, he reads his book more than I read mine. Feel better soon, How sweet of him!